Real examples of the most common questions (and best answers) used to hire in commercial banking. What are the most common commercial banking interview questions? We’ve asked countless commercial banking account managers, relationship managers, and credit analysts what the most common commercial bankingCommercial Banking Career ProfileA Commercial Banking career path is providing clients with credit products, term loans, revolving lines of credit, syndicated facilities, cash management interview questions are. Based on their responses and feedback, we’ve laid out the most likely questions to be asked in an interview with a hiring manager. In this guide, we’ve also provided what we believe are the best answers to these commercial banking interview questions. For other careers, please check out all our interview guidesInterviewsAce your next interview! Check out CFI's interview guides with the most common questions and best answers for any corporate finance job position. Interview questions and answer for finance, accounting, investment banking, equity research, commercial banking, FP&A, more! Free guides and practice to ace your interview. How would you determine the creditworthiness of a company? There are two main approaches: (1) assets, and (2) cash flowCash FlowCash Flow (CF) is the increase or decrease in the amount of money a business, institution, or individual has. In finance, the term is used to describe the amount of cash (currency) that is generated or consumed in a given time period. There are many types of CF. A thorough approach involves a full financial analysis of the business based on its financial statements, market conditions, and the management team. On the asset approach, it’s important to understand how much the assets are truly worth, how liquid they are, and how much you think you could get for them. On the cash flow approach, the historical ability to generate cash flow (or net income, EBIT, EBITDAEBITDAEBITDA or Earnings Before Interest, Tax, Depreciation, Amortization is a company's profits before any of these net deductions are made. EBITDA focuses on the operating decisions of a business because it looks at the business’ profitability from core operations before the impact of capital structure. Formula, examples, etc.) will be relied on, in conjunction with a realistic forecast to assess how much debt they can service. To learn more, see all of our financial analyst courses online. If you were asked to analyze a set of financial statements, what would you do? The first thing I would do is put them in a clean Excel workbook, or company template, in an organized format. Next, I would calculate a variety of ratios: profitability, growth, margins, leverage, and liquidity (see question below for specific examples). Finally, I would analyze these ratios and identify trends (based on at least 3 years of historical information), which I would try to extrapolate into the future. Learn more in our Financial Analysis Fundamentals Course. Leverage: debt to equity, debt to capital, debt to EBITDAEBITDAEBITDA or Earnings Before Interest, Tax, Depreciation, Amortization is a company's profits before any of these net deductions are made. EBITDA focuses on the operating decisions of a business because it looks at the business’ profitability from core operations before the impact of capital structure. Formula, examples, interest coverage ratio (or fixed charge coverage ratio), and other variations of these ratios. Liquidity: working capital, current ratio, quick ratioQuick RatioThe Quick Ratio, also known as the Acid-test or liquidity ratio, measures the ability of a business to pay its short-term liabilities by having assets that are readily convertible into cash. These assets are, namely, cash, marketable securities and accounts receivable. These assets are known as "quick" assets since, cash ratio. Where do you think interest rates are headed? You have to be careful with your answer to this commercial banking interview question. Every bank has their own economist, and every economist typically has three different outlooks on interest rates (up, down, and flat). The key is to simply demonstrate that, (1) you know what current interest rates are, and (2) you can identify some intelligent scenarios that would cause them to either go up or down. Avoid making a precise prediction, but show that you’re informed. For more on this, see our macroeconomic interview questionsEconomics Interview QuestionsThe most common economics interview questions. For anyone with an interview for an analyst position in at a bank or other institution, this is a guide. While there are an unlimited number of economics questions you could be asked, these questions will give you a sense of the types of questions you could get.. If you were given an income statement where revenue was going up and net income was going down, what would you think the problem is? There could be many issues. The most likely explanation is that the company is fueling its revenue growth by, (1) increasing its marketing expenses (see: return on ad spendROAS (Return on Ad Spend)ROAS (Return on Ad Spend) is an important eCommerce metric. ROAS measures revenue generated per dollar of marketing spent. It is a similar and alternative profitability metric to ROI, or "Return on Investment". ROAS is commonly used in eCommerce businesses to evaluate the effectiveness of a marketing campaign. ), (2) decreasing prices, (3) experiencing an increase in cost of goods sold, or (4) changing accounting policies, like no longer capitalizing an expense that used to be capitalized. The main point is, more investigation into the income statementIncome StatementThe Income Statement (or Statement of Profit and Loss) shows performance from operations of a business. The financial statement begins with revenues and is required, but it’s often an indication that growth is being pursued in an uneconomic way (although that’s not definitively the case). 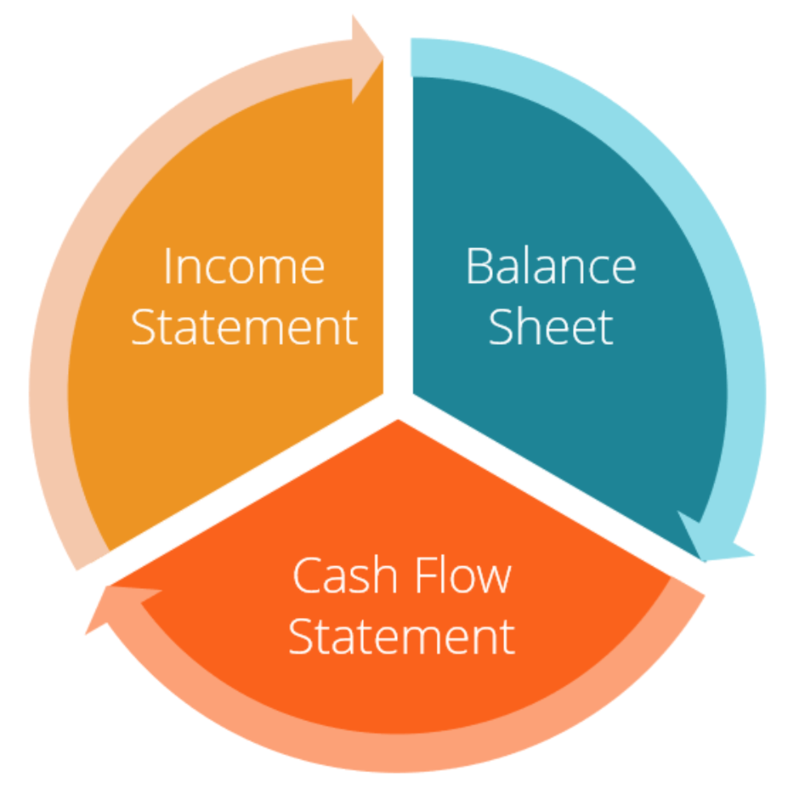 What’s more important, the income statement, balance sheet, or cash flow statement? This is sort of a trick question, as all three statementsThree Financial StatementsThe three financial statements are the income statement, the balance sheet, and the statement of cash flows. These three core statements are intricately linked to each other and this guide will explain how they all fit together. By following the steps below you'll be able to connect the three statements on your own. are extremely important and you can’t really get by with just one of them. The income statement is important to see what a company earns over time and what it’s operating margins are like. The balance sheet shows what a company owns and what it owes. Finally, the cash flow statement shows how much actual cash the business is generating or consuming. All three are important together. Learn how to connect the three financial statementsHow the 3 Financial Statements are LinkedHow are the 3 financial statements linked together? We explain how to link the 3 financial statements together for financial modeling and valuation in Excel. Connections of net income & retained earnings, PP&E, depreciation and amortization, capital expenditures, working capital, financing activities, and cash balance. This is an opportunity to show you can think on your feet and apply the principles of risk management in a different way. There is no right or wrong answer. They key is to point out that there are various ways to think about risk (risk of loss, the risk of missing out, risk vs reward, etc). You could talk about your finances, or you could even talk about personal activities. What does it take to be a great commercial banker? This is a wide open commercial banking interview question. There are lots of ways to answer it; the key is to think about the skillset required in commercial banking and tie your response to that. The main two skills required are, (1) analytics, and (2) sales/relationship management. More reading: how to be a good financial analystThe Analyst Trifecta® GuideThe ultimate guide on how to be a world-class financial analyst. Do you want to be a world-class financial analyst? Are you looking to follow industry-leading best practices and stand out from the crowd? 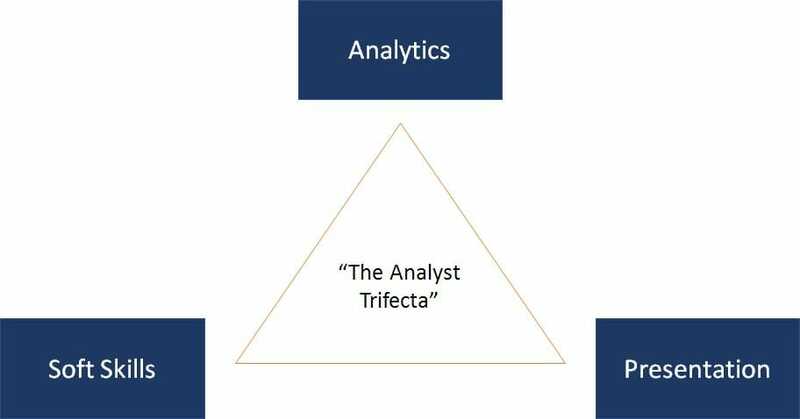 Our process, called The Analyst Trifecta® consists of analytics, presentation & soft skills. Where do you see yourself in five years, if you’re hired? This is a sensitive topic. It’s likely to be one of the commercial banking interview questions because so many people try to go into it as a stepping stone, trying to get into corporate finance or investment bankingInvestment BankingInvestment banking is the division of a bank that serves governments, corporations & institutions, providing underwriting (capital raising) and mergers and acquisitions (M&A) advisory services., so it’s important not to make them think you want to leave in a few years. You want to come across as ambitious, but not too ambitious (e.g., don’t say “in five years I see myself in your job”). To manage a transition, check out our corporate finance courses. You may or may not be asked a question along these lines, depending on what role you’re going for in commercial banking. A lot of commercial bankingCommercial Banking Career ProfileA Commercial Banking career path is providing clients with credit products, term loans, revolving lines of credit, syndicated facilities, cash management is sales oriented, so it’s important to be able to demonstrate you’ve got what it takes to thrive in a sales environment. There are many approaches to sales: relationship-based, need-based, value-based, etc., so this is a very open-ended question.